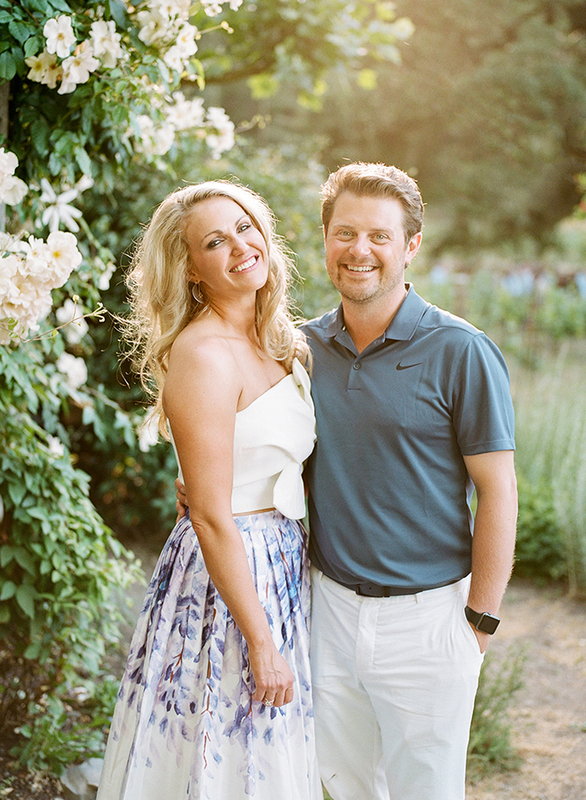 For this Kentuckian couple, a laid-back, yet totally elegant and intimate 70-guest wedding in Napa was the perfect way to celebrate their love! The festivities began on Friday evening at Tres Sabores, a quaint family-owned winery they visit often when in Wine Country. Sarah & Aaron wanted to share all the things they love including wine, vineyard views, great food & hospitality (hello paella and world famous Hog Island Oysters! ), and dogs (Tres Sabores has resident ranch dogs that are staples for any party there) with their loved ones. 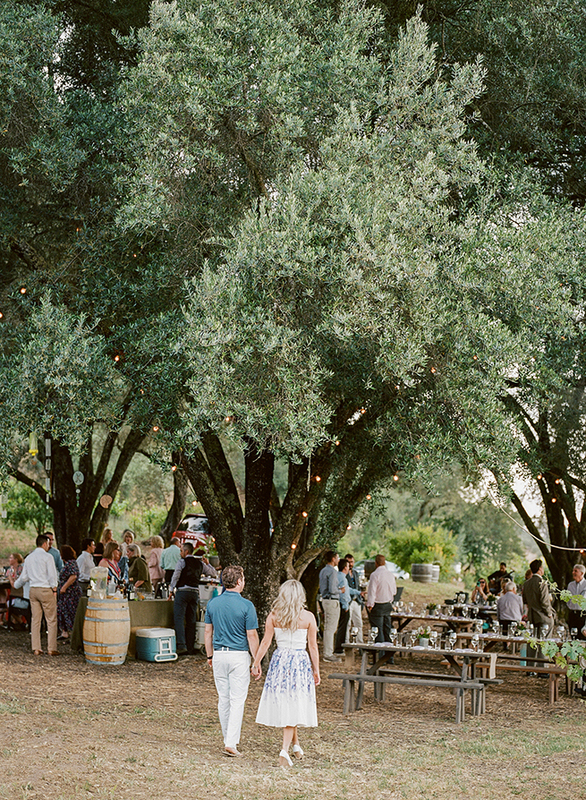 Their rehearsal dinner included a wine tasting followed by a laid-back picnic-style feast with vineyard views all set underneath a grove of trees and twinkling lights.